A ureteroscope is inserted into the urethra and on into the kidneys. A ureteroscope is used to remove kidney stones. A ureteroscope is an instrument that is used to pass through and see inside of the urinary tract. This type of endoscope is used in ureteroscopies which are used to locate and remove kidney stones from the body. This procedure doesn't require an incision, making it less invasive and reducing the risk of infection for the patient. During a ureteroscopy, the ureteroscope is inserted into the urethra — the tube that connects the outside of the body to the bladder. From there, the doctor will navigate the scope into the bladder and then the ureter and finally the kidneys. Most kidney stones are located in the kidney, but larger stones may be found in the ureter, bladder, or urethra. Once a stone is found, a small basket will be attached to the end of the ureteroscope. The attending physician will use the basket to grab and remove the kidney stones. Sometimes, doctors will intentionally push kidney stones back into the kidney, because the kidney may naturally break them up. Ureteroscopes come in two main types based on their rigidity. Rigid ureteroscopes look like a rigid telescope and are used to provide a straight line view into the urethra. A ureteroscope like this is used when the stones are located in the lower and mid-section of the ureter near the bladder. Flexible ureteroscopes, on the other hand, are malleable instruments, designed to be able to make 180° turns to navigate throughout the urethra, bladder, ureter and kidney. These scopes are used to locate and remove stones located in the kidney, as well as near the kidney in the upper part of the ureter. As one might imagine, a ureteroscopy done with a flexible ureteroscope is kinder on the body than one done with a rigid instrument. Unsuccessful ureteroscopies may be followed by laparoscopic surgeries. While laparoscopic procedures have a high success rate, they do require several incisions and typically a longer hospital stay as well. Additionally, the incisions increase the risk of infection. What Is the Difference between the Urethra and Ureter? What are the Most Common Symptoms of Kidney Infection in Women? What are the Signs of Kidney Stone in the Ureter? 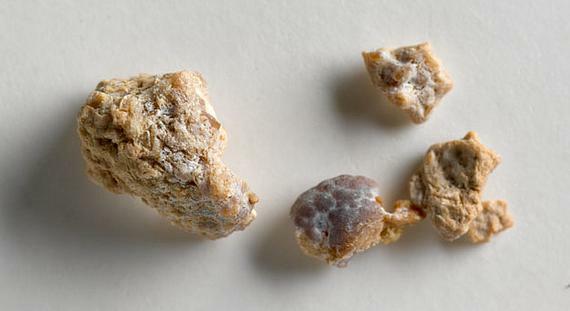 What is a Kidney Stone Flush? What is the Connection Between Soda and Kidney Stones? What are the Benefits of a CT Scan for Kidney Stones?